Im so excited to be sharing this hair tutorial with you today! It was inspired from my instagram photo I posted a few weeks ago showing my updo of the day. I was told so many times that day that I looked very "Gastby" and had tons of people asking me how I did my hair! It is seriously such a simple updo and I decided to make you all a little tutorial so you can mix up your everyday loose curls and ponytails. I know I am always looking for new quick ways to spice up my everyday do! Enjoy! Step 1- Start by separating your bangs (If you have them) from the rest of your hair. Then style them whichever way you like. I used a curling iron. Step 2- Tease the crown of your head a bit, this will add some volume. Step 3- Then all you have to do is put your pretty headband on top of your hair like a crown (while your hair is down) and then grab the rest of your hair at the back and tuck it into the headband. The messier the better! Step 4-Pull out your bangs. Now how simple was that! 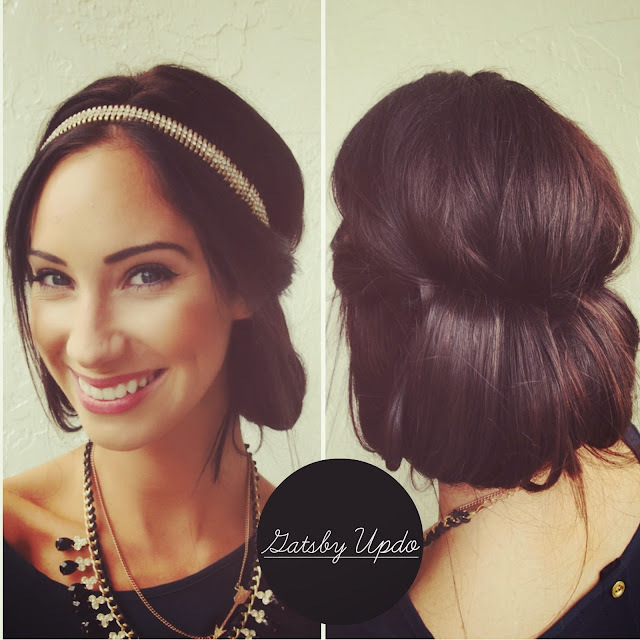 You have yourself a pretty updo in less than 5 minutes! Linking up this tutorial on Suggestionssalon Blog today! :) Check it out and get some cool hair tips. I hope you all enjoyed:) If you have any questions, comment away! You have the most perfect skin of all time. So gorgeous. You are flawless! Will my skin glow like yours if I try this hairstyle? :) In all seriousness, I really need a quick, cute hairstyle and this is perfect, love it! Thank you for sharing this gorgeous tutorial at Be.You.tiful link party! Precious. I just love this! 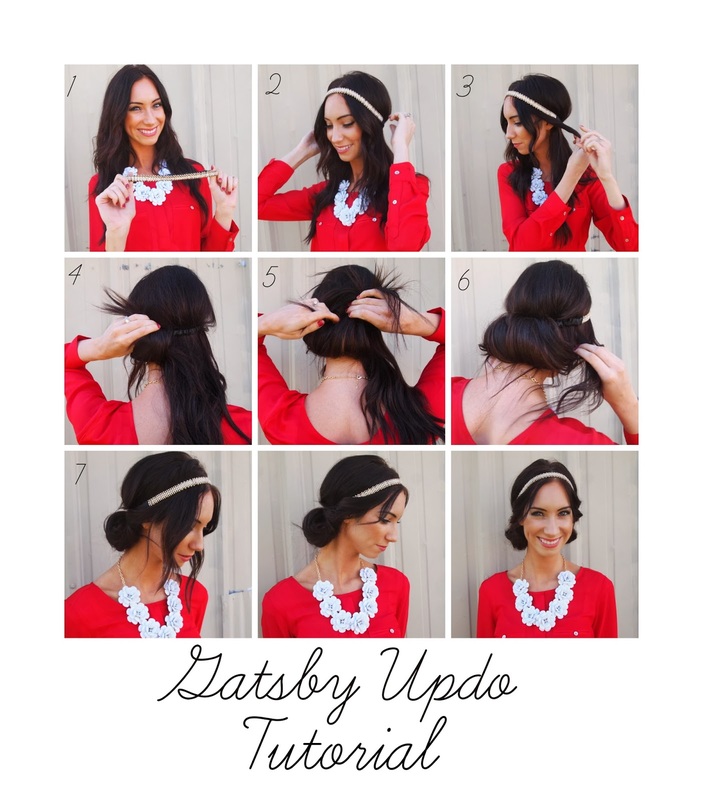 I have done this in the past by putting my hair in a pony, but hadn't thought to tuck it into a headband. I must get on this! Pinning now.